I want to be an encouragement to you as you begin this journey as a wife, and even in the unfolding years ahead. I should begin with admitting that I have a distinctly unfair advantage on this chosen topic: I have been blessed of the Lord with a precious husband who is very easy to love. However, I hope my experience will enrich your perspective. From my vantage point of 63 years of marriage, I am aware of the brevity of life. I encourage you to never take your husband for granted. 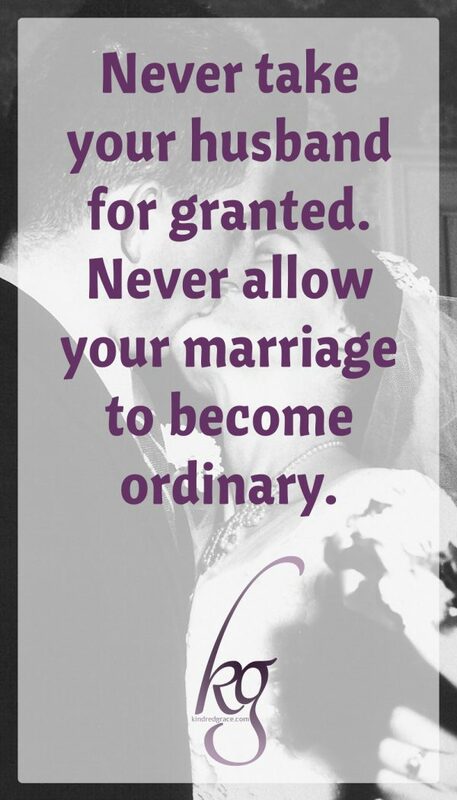 In other words, never allow your marriage to become ordinary. In the early stages, of course, the thought of your marriage ever feeling ordinary may seem unlikely. 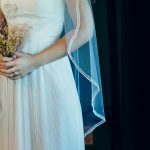 If you are a new bride, perhaps it doesn’t seem like you’d need to be told to love your husband. However, let me gently say that when you return with your groom from your honeymoon (or leave the “honeymoon” stage), you will soon discover that life consists of much more than romantic dreams coming true. After all, I once heard it said, “A successful marriage requires falling in love many times, but always with the same person.” Indeed. But how do we create an environment in which we can fall in love with our husbands over and over again? Couples stay together through the years for only one reason: it is because they choose to love. This choice is a conscious and voluntary decision, not one based on feelings, which can so easily shift. Love that lasts and grows through your years of marriage does not happen automatically with your saying vows or giving rings. Love requires your choosing to love one another—over and over again. Love like this unites and deepens under stress and strain, circumstances which would otherwise separate us. Financial setbacks, crying babies, and illness will divide people if true love is not present. Facing these tests together with love, however, will bind and deepen the ties of matrimony. Then, as time goes on, love reaches a deeper and more practical dimension than just the romantic aspects enjoyed during courting, falling in love, and planning the wedding. Choosing to love ensures that we will stay by one another through the highs and lows and the ups and downs that come in every marriage. 1. Choose to love your husband with a servant’s heart. Have a servant’s heart and hands—and kind eyes. Give in and give up sometimes. Do things for your husband out of kindness and a desire to please, even when you are tired and would rather not do anything at all. 2. Choose to love your husband as his counterpart. We are not only to be servants of one another, but we are called to be counterparts with one another. The dictionary defines this word “counterpart” as “that which completes or complements another” (complements in the sense of enhances). Think of the example of night and day being counterparts. Would it not be dull if we had either all day or all night? The difference is good; we need both. 3. Choose to love because of your differences, not in spite of them. God did not intend that men and women think and act alike. Have you ever wondered why men look at a matter so differently than women? Often married couples go through life both wishing that their mate thought/behaved/was more like themselves, assuming the other just does not understand. Sadly, some marriages weaken as a result of this difference, when the relationship should become stronger because of it. Rather than agonizing over the differences between ourselves and our husband and hoping for change, we should be thankful to our all-wise Creator for those differences. Differences should not cause conflicts, but rather should prompt a “team spirit.” On an athletic team, each player contributes certain abilities. They are not all the same, but they cooperate in combined effort for the good of the team. Try to think of ways that you and your husband can glorify God together. After all, breakdowns in marriage don’t happen because of differences, but rather because a couple won’t handle those differences. Married love does not mean thinking alike on all matters, but rather thinking together on what matters. 4. Choose to love with commitment. Choosing to love like this does not happen automatically. It does take effort, but how very worthwhile it is. Some run strong for a short distance, but find they have not enough love and commitment to sustain them for the long stretch. It is then that we must turn to Christ for our strength. We must be flexible and adaptable, as changes will occur. Pressures of life can seem to roll in on us. If we commit, however, our marriage will survive all of life’s storms. And love doubles your joy and halves your sorrow. Marriage can be likened to a seesaw; it takes constant readjustment to maintain equilibrium and balance. Don’t nurture and cling to little hurts (which we women are sometimes prone to do), but rather discard them immediately. 5. Choose to love through the trials of life. You can be sure there will be some of both joy and sorrow throughout your marriage. (Hopefully heavy on the joy, light on the sorrow.) But it takes both rain and sunshine to make a rainbow. Difficulties should bring you both closer together as a couple, functioning as a team. There should be a bonding, a singleness of purpose. Commit to being your husband’s partner in meeting the challenges of life. Adversity can cause love to mature only if we accept hardship as a learning experience. If you talk with couples who were married during war times amid various deprivations and stresses, you will most likely find they simply accepted the sacrifices willingly. They actually have happy memories of those years even though they didn’t have much of this world’s goods, because doing without didn’t even matter. They were content to have one another; they knew what it meant to wonder when you might be seeing each other for the last time. Let’s be honest: we don’t even know that nowadays, so it behooves us to treasure each moment with our husband and to express our love on a regular basis. Through serving him, being his counterpart, seeking understanding in our differences, and committing to him, through everything life throws at us. 6. Choose to make Christ your priority. First, know that prioritizing your relationship with Christ is the ultimate safeguard against your love for your husband beginning to erode. Only He is the fully dependable One. 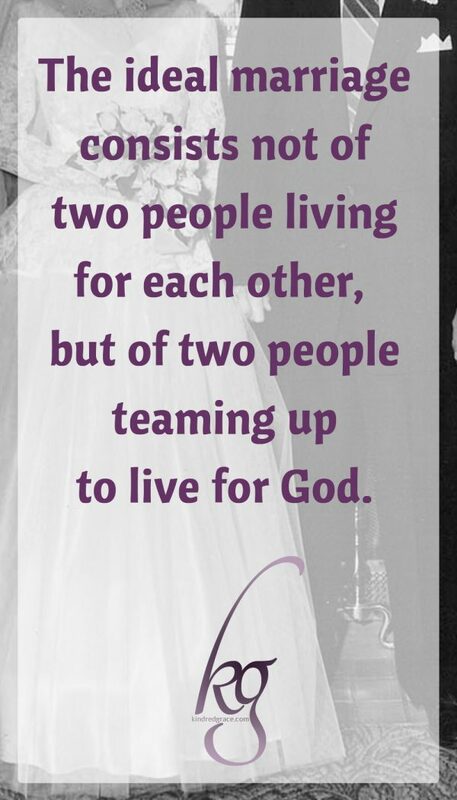 The ideal marriage, therefore, consists not of two people living for each other, but of two people teaming up to live for God. Second, don’t forget that all the basic principles to ensure a strong, solid marriage are provided for us in God’s Word—if we but heed it. Your marriage is made up of two people drawn together by a holy love greater than your own. You will need the source of that love, the Lord, even more than you need each other. This makes sense because you belonged to God long before you belonged to each other. God has first claim upon you and His love, which surpasses all human love, is the center of the love you have for your husband. After all, the bond that should exist between you and your husband is a symbol of the love between Jesus Christ and His bride, the church. We are familiar with that analogy, but do we ponder how very important that says that marriage is to God? Think on that a moment. No wonder that, since marriage is so important to God, He gave us a blueprint on the subject: The Word. Let God be your Architect, so that the structure (your home) will have a solid foundation. Of course, having a blueprint does not mean you will be a cookie-cutter couple. You and your husband can indeed be two distinct individuals, with parallel goals, and still make your home a delight—if you both allow God to lead you. 7. Choose to make your home a haven. May your husband always want to run the last steps homeward to you. You, wife, have the power to set the tone and atmosphere of your home. When your husband comes in the door unsuspecting, you must guard against feeling sorry for yourself and assuming that your husband doesn’t understand how much has gone wrong in your day. Remember, all has not been smooth sailing in your husband’s world today, either. Make your aim that your home should be a happy place where hurts are healed and tired hearts find rest. While your husband is the head of your home, you, wife, are the heart of your home. While your marriage may “be made in heaven,” it must be lived on earth. 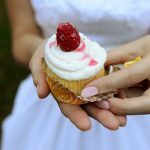 While your wedding may have taken place at an altar, it finds its meaning as well in the kitchen and laundry room, at the market, in the backyard, and at worship. 8. Choose to fill your mind with worthwhile, uplifting thoughts. When you are distressed about something, before you approach your husband, first take it to the Lord. He will not only uplift your spirit but equip you with a better frame of mind to discuss it with your man. Regarding “discussions,” take this tip with you: inasmuch as it would be uncomfortable—if not impossible—to be in a quarrelsome attitude while on your knees together before God, pray with another. This cannot help but result in deeper understanding. Just imagine how this attitude of Martha Washington must have strengthened her husband! We must not let circumstances control our attitude or outlook, regardless of what we may be called upon to face in the future. Philippians 4:4 reminds us that regardless of circumstances, we should rejoice in the Lord. Strive to perpetuate what attracted your husband to you in the first place. It was probably not a continual downturned countenance. Remember: Marriage is not so much finding the right person, as it is in being the right person. Start with taking captive your thoughts. 9. Choose to keep the communication lines open. According to counselors, the number one problem in marriage is the matter of communication. Prior to and early in marriage, you probably have so much to say to one another. Unimportant details take on significance just because you are sharing with your husband or he is sharing with you. It seems difficult to imagine that someday words from the same dear voice may become “trivial” to you as the hearer and may even—perish the thought—pass in one ear and out the other! A communication barrier can indeed be constructed between you both, two formerly chatty people. Probably even crueler than harsh words is the deadly silent treatment. Avoid allowing such a pattern to develop. Always be open to talking through a matter. However, try to avoid serious discussions or decision-making when you are tired (or when your husband is tired, even if you have been waiting all day to talk!). The dawn of a new day—after a good night’s rest—can often miraculously solve issues that a few hours previously seemed insurmountable. Just keep in mind Ephesians 4:26: “…let not the sun go down on your wrath.” It is indeed possible to release your anger before you have fully “solved” a problem or made a decision. Furthermore, when an issue needs to be resolved or a decision reached, time can be an ally. We should be willing to postpone a discussion for a more appropriate time (and not nag in the interim). For those with children, guard your communication in their presence, as they are learning the “art” from you day by day. 10. Choose to speak with genuine respect and generous grace. Remember that we women naturally approach matters from diverse viewpoints. Sometimes full communication can be difficult to achieve. There is no easy solution for this dilemma, other than to remind yourself that when God created man and woman for each other, He did not purposely arrange for such a hindrance. If your husband is naturally less prone to converse, ask yourself if you do anything that would curtail even his normal degree of communication. Do you truly listen? We ladies can sometimes be guilty of thinking about what we are going to say next, and thus not really hear what our husband is trying to convey now. Avoid interrupting. Proverbs 18:13 says, “He who answers before listening—that is his folly and his shame.” What’s more, interrupting is rude! Have you ever been with a couple who are both essentially talking at the same time, and you don’t know which one to try and follow? Don’t precipitate this in your own marriage. Also, do you contradict your husband in your interrupting? That is enough to cause a man to give up trying. Avoid saying “I told you so!” There should be no sarcasm or criticism. Be open, honest, and upfront, but always kind. Refer often to the Book of James to be reminded of instruction on the tongue and how we use words. Study how he is communicating with more than just words—and how you are, too! 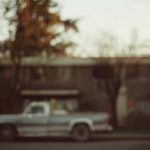 Your husband is communicating with you through his tone of voice, inflection, facial expression, eye contact, a shrug, a sigh, or by silence. And so are you! Especially watch your tone and word choice. How much discord and heartache could be avoided if people would simply say, “I’m sorry!” All you do is win in the long run. What benefit is derived from proving yourself right if it causes a quarrel? If you can look at things with eternity in view, petty things and pesky annoyances won’t matter nearly as much. 12. 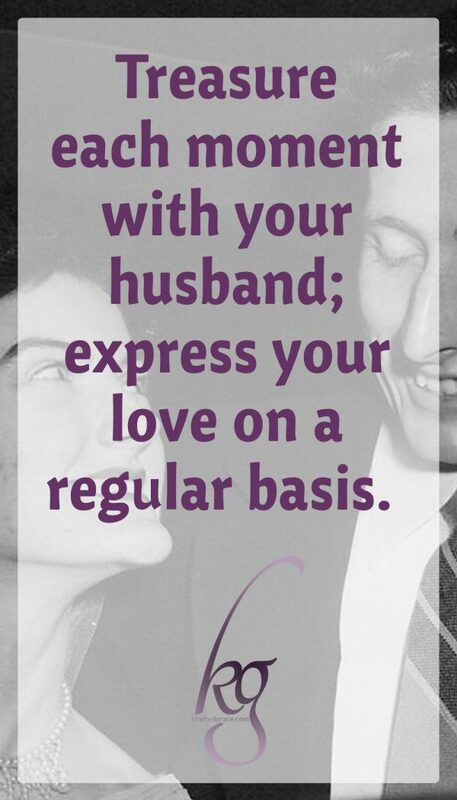 Choose to be generous in expressing admiration of your husband. An encourager is one who comes alongside another to support, affirm, and motivate. Your husband needs your encouragement. This is as vital to his emotional well-being as the healthy nourishment you serve on a platter is to his physical body. It will make his efforts seem worthwhile. A wife by her attitude can indeed make or break a husband right at this crucial point. Such positive input may well keep him on his feet when you had no idea he was near faltering. Men are not always prone to verbalize their fears. If you convey to your husband “I believe in you,” there is no limit to what he can accomplish for God’s purpose. Wife, help your husband by looking beyond an immediate obstacle or seeming delay to the potential of a situation and the promise. An important way of encouraging your husband is to show him respect. Praise him in front of others as often as you can. Express that affirmation to him directly, too. Demonstrate how glad you are to be his wife. Cherish that title! Don’t ever voice criticism or ridicule of your husband, especially in front of others. Keep a list—in your heart, in a journal, on a bulletin board—of all the reasons you love your husband. The list should be long and never-ending. Feel free to share the items on the list with others—and with your husband! Wives, champion your husband. Who else will be his cheerleader in life? And always support your husband daily in prayer. What I have shared here with you could seem like impossible goals for which to strive were it not that when we seek God’s will, He will enable us. One last tip? It would be worthwhile—regardless of your years married—to routinely review 1 Corinthians 13:4-8a. 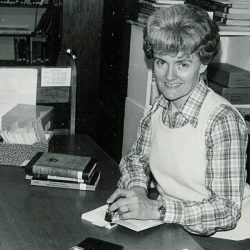 Jessica Brink is a retired Christian school librarian. 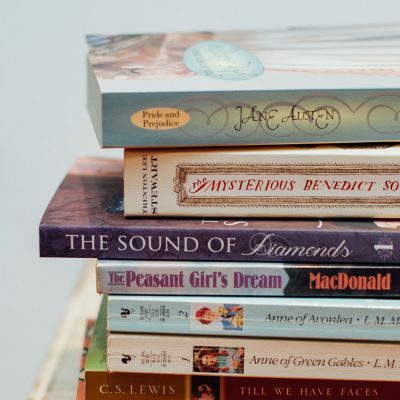 She is a collector of good books and stuffed teddy bears. Her ministry is writing cards and letters of encouragement to others. 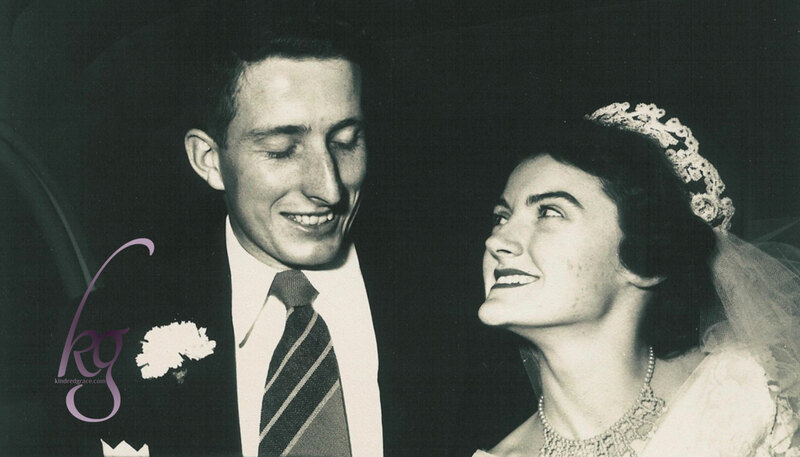 She has been married to her husband Bill since 1954. (Read their love story here.) Together, they celebrate God’s goodness, grateful for each new day. They are thankful for every moment they get to spend making precious memories with their eight grandchildren and growing number of great grandchildren. So, so good. Excellent advice! 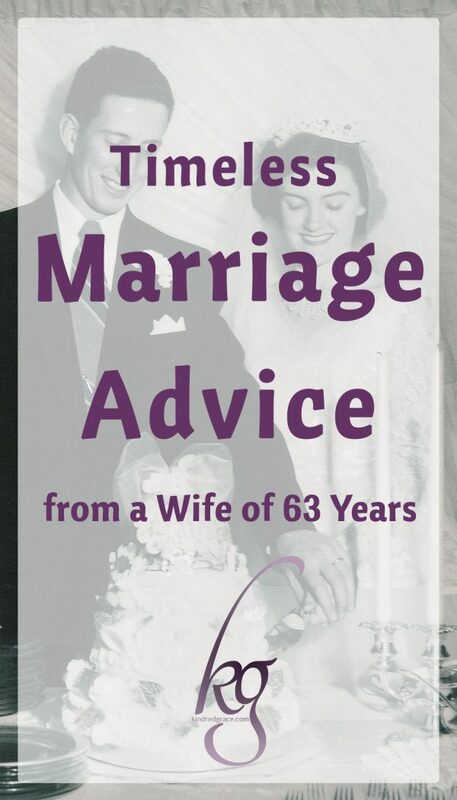 This is such sweet, godly marriage advice from your grandmother! I feel like I should print this out and keep it close even though I’m not to that stage in life yet. 🙂 I rejoice in seeing couples that have been married for as long as your Brink grandparents have! And having had the pleasure of meeting some of their offspring, it makes me smile at their love for each other even more. Together, they celebrate God’s goodness, grateful for each new day. They are thankful for every moment they get to spend making precious memories with their eight grandchildren and growing number of great grandchildren.